Which corner basin is right for you? 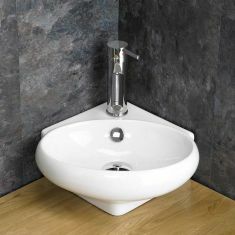 Click Basin stocks a stunning range of corner basins and sinks to suit every taste. 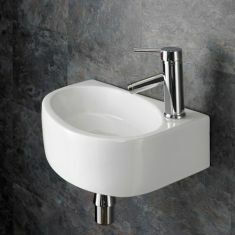 A corner sink can be mounted directly on to a wall or shelf or displayed on a vanity unit designed for such a purpose. 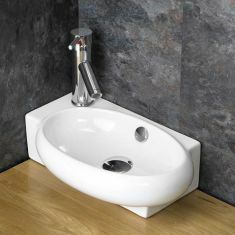 They are versatile, space-saving basins that will help you make the most of the space available to you in any bathroom or cloakroom. 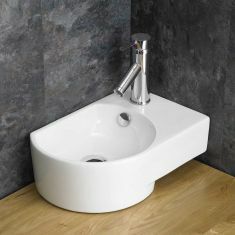 A corner basin is a great option if space is at a premium, making them an ideal installation for an en suite or cloakroom. They allow you to squeeze as much usefulness as possible out of the space, giving you more room to move around or install additional storage. 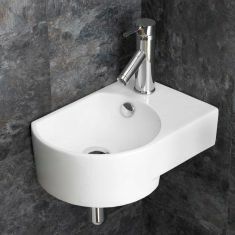 If there is not the space to install a basin mounted on a vanity cabinet, consider a wall-hung corner sink for maximum efficiency. 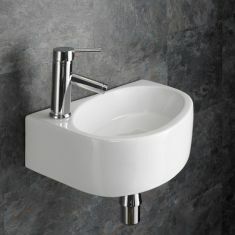 Each corner basin is a self-contained unit supplied with fixings. 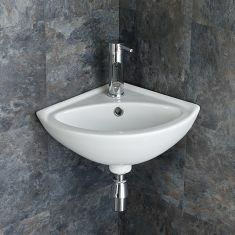 As we’ve said, the modern design of a corner basin removes the need for a more traditional pedestal mount. 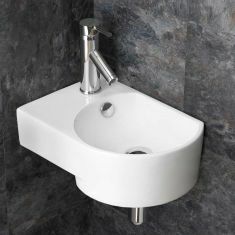 The wall-mounted design is more popular than ever and looks great in all kinds of bathrooms. 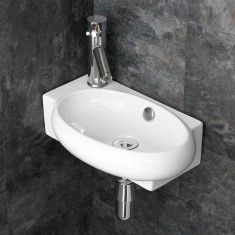 All of our Corner Basins will be supplied with one tap hole to allow a top mounting mixer tap. 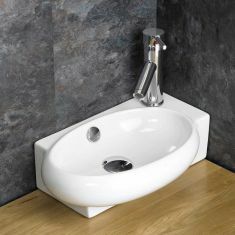 The basin is also completed by a neat and effective pop-up waste plug. Most come with an integral overflow as well. 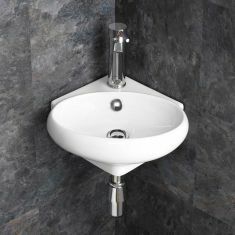 The basins look especially fashionable finished with a chrome bottle trap. 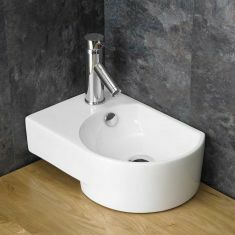 Click Basin’s corner sinks are available in clean white ceramic, all coming in different shapes and styles to give you all the choice you need. 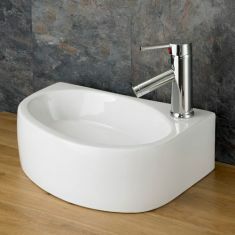 Find the perfect basin to match the colours and styles in your existing bathroom, or try something completely new. 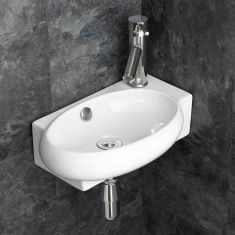 We also design and supply a range of solid oak corner vanity units. 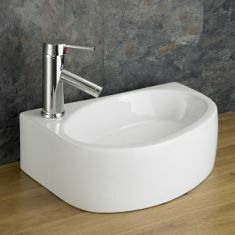 These new items are perfect to add a touch of class and longevity to a bathroom, as well as being useful storage units. They’re a little different from the norm - but a real 'wow' piece in any setting. 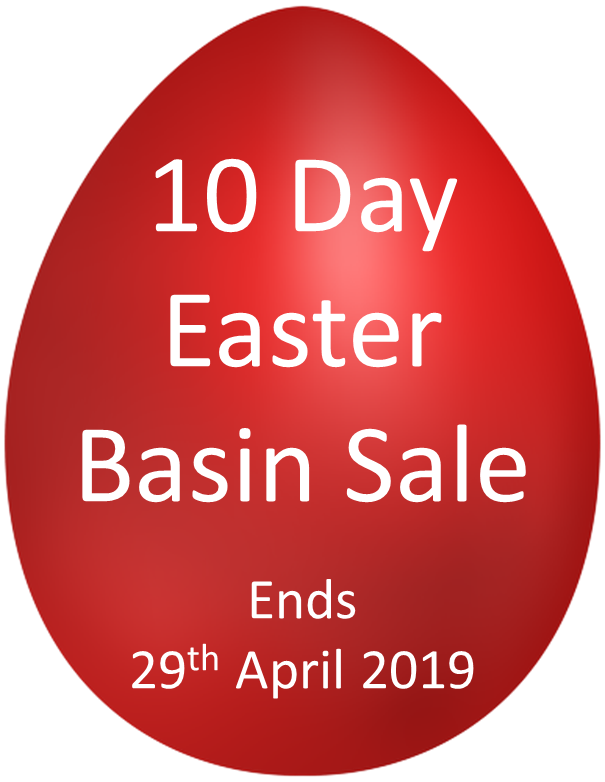 We sell all of our corner basins individually or at a reduced price ‘All in One’ package to include a high-quality Mono Mixer tap and push-click plug.